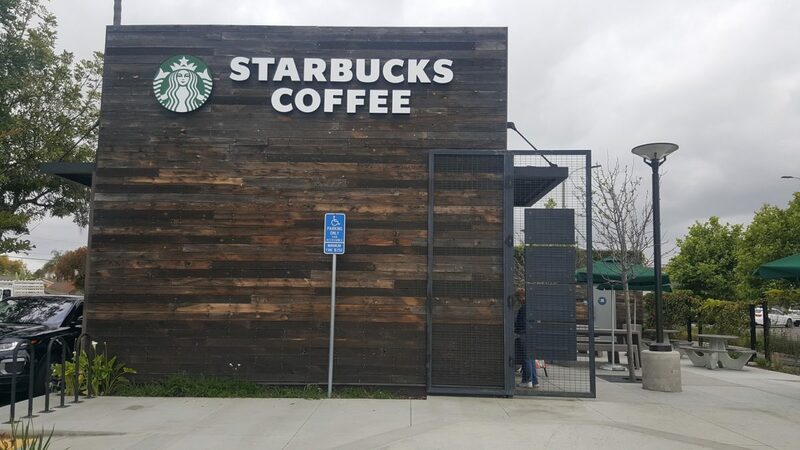 This store opened new on March 10, 2014. 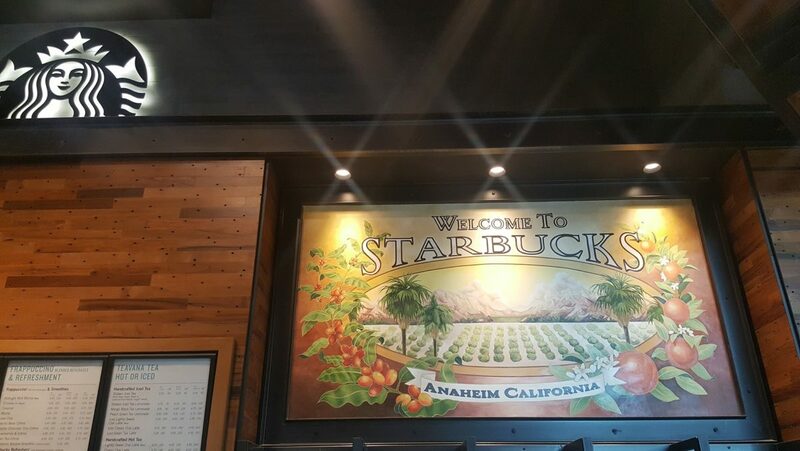 Since it’s on Disney property there are some subtle differences between it and a typical core Starbucks store. 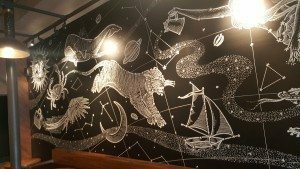 Yes, it is still a company-operated Starbucks location, but it seeks to have an elevated experience for customers. The partners all wear the solid black aprons that were developed for the era of Evenings Starbucks locations (there are no longer beer and wine Starbucks stores). 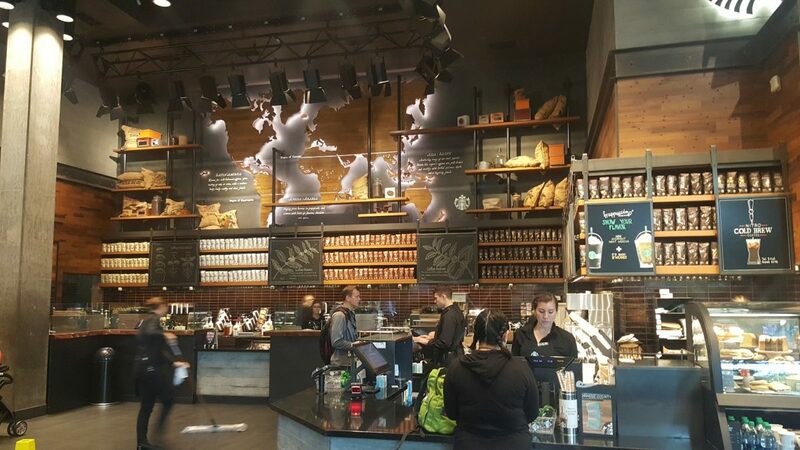 You can use your Starbucks card, earn and use rewards, and enjoy all your beverage favorites. 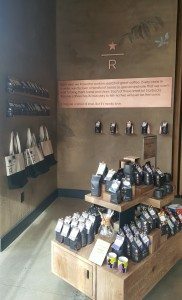 It’s also a store with a complete offering of Starbucks Reserve coffees, including the delicious Papua New Guinea Roots No. 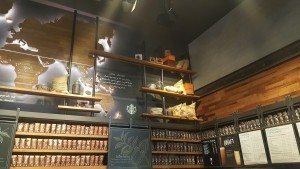 1 and Cape Verde Reserve coffee. 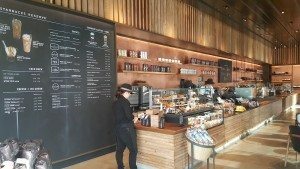 You can get nitro cold brew at this store too. On top of it all, you’ll have a great experience. This store elevates the Starbucks experience: both Starbucks customer service and Disney customer service standards are melded together at this location. 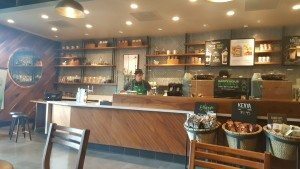 I know that I’ve had a fantastic experience every time I’ve dropped by this store. 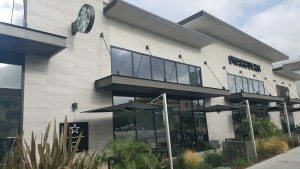 By the way, there is a separate parking area for Downtown Disney shops, and you do not need a park ticket to visit the shops at Downtown Disney. Visually gorgeous, nitro cold brew, Reserve coffee, and great experiences: What more could you ask for? 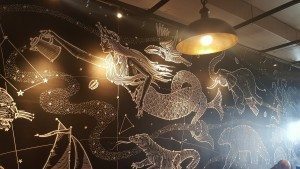 The Los Angeles Reserve Bar is located at 4th and La Brea and opened new December 2, 2016. 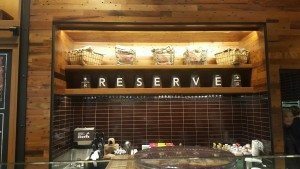 This is one of the few Reserve Bar locations across the country. (There are more coming soon.) 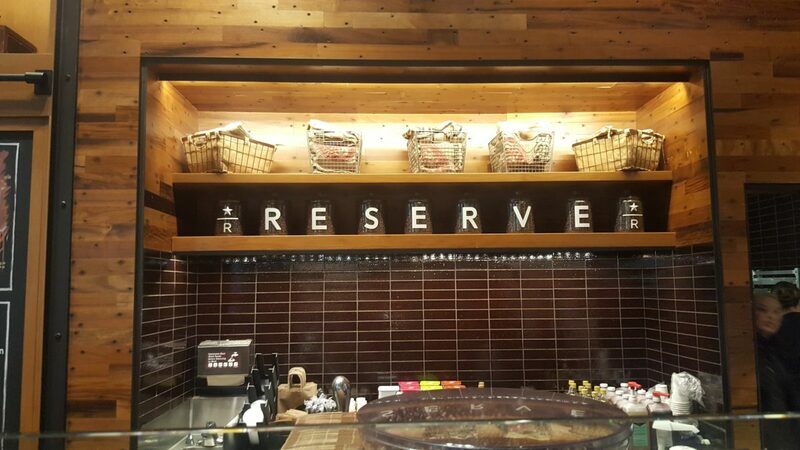 A Reserve Bar is a hybrid between a core Starbucks store and an elevated platform including Reserve coffees and Roastery-inspired beverages. It’s an absolutely gorgeous location. 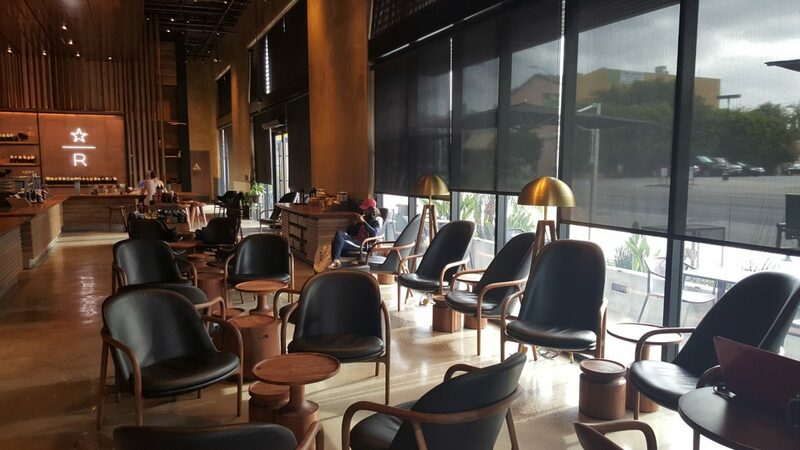 There’s plenty of comfy seating. 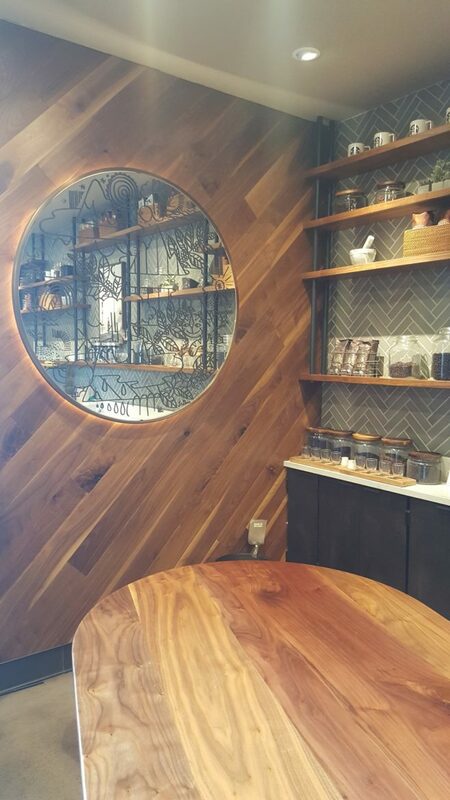 And best of all, you can order Reserve cold brew made with Micro Blend No. 11, all the wonderful ice cream Reserve offerings, and other great Roastery-created drinks, like the Melrose. 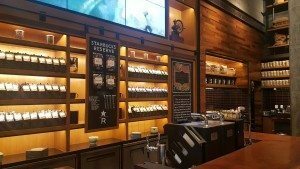 You can use a Starbucks reward on the Roastery-inspired drinks and ice cream! 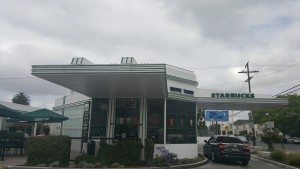 This store has the unique distinction of being designated as a historic landmark. 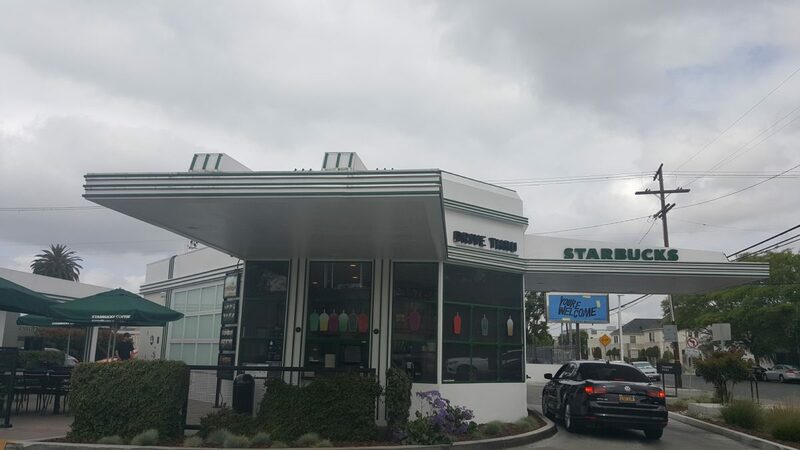 The building was originally a “Gilmore Gas Station” in the 1930s, and LA designated it a historical landmark in 1992. 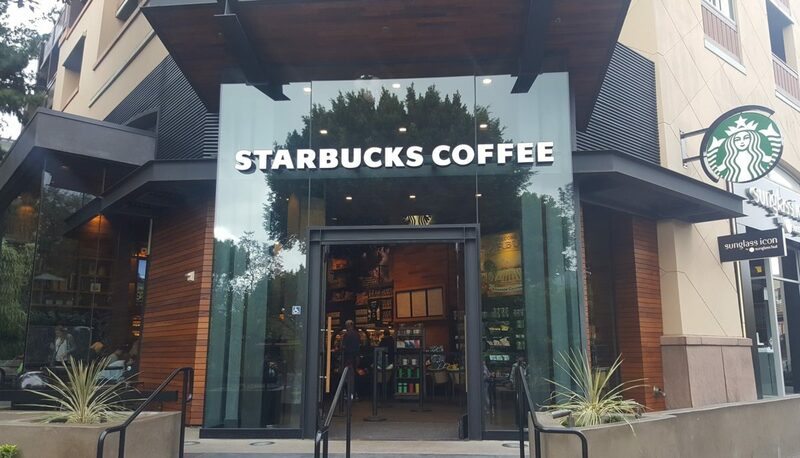 This store opened new as a Starbucks on March 26, 2015. 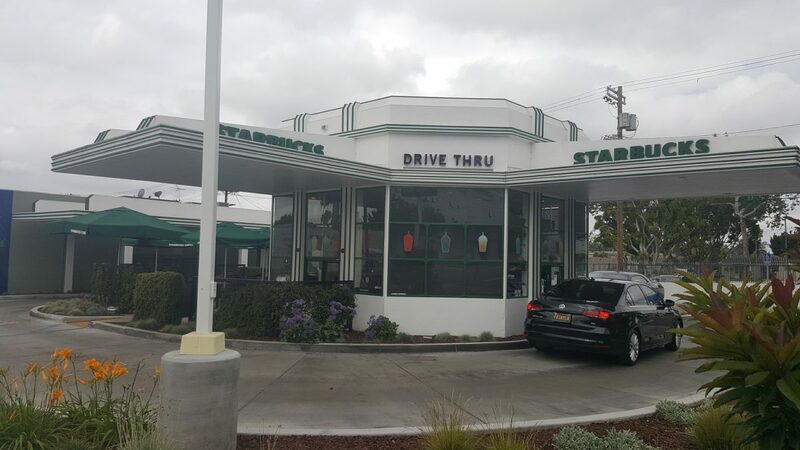 Today it proudly operates as a beautiful drive-thru only Starbucks. The Starbucks newsroom has before and after photos. The next store is a small, unassuming store with a dynamic store design. 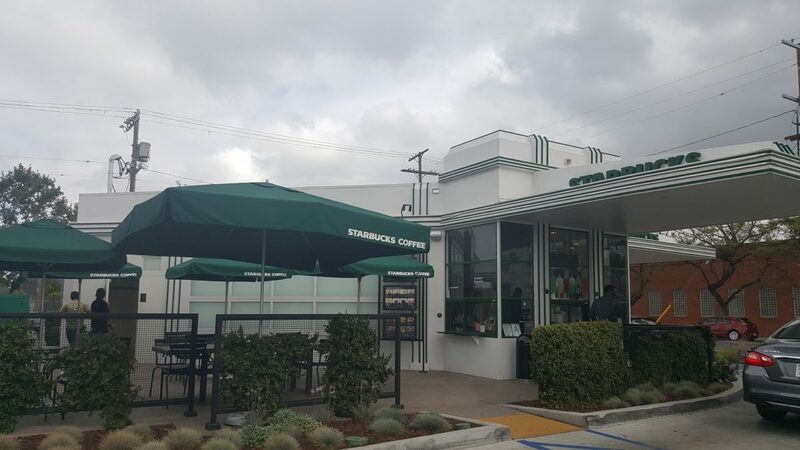 The Griffith Park & Hyperion Drive Starbucks is located only a couple of miles from the famous Griffith Observatory. You can see that the park, observatory, and stars have inspired the store’s gorgeous mural. 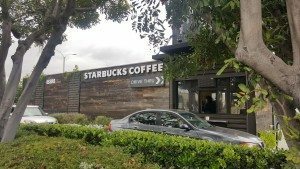 Lastly, I’m going to include the Goldenwest & McFadden Starbucks. This store at least gets an honorable mention. 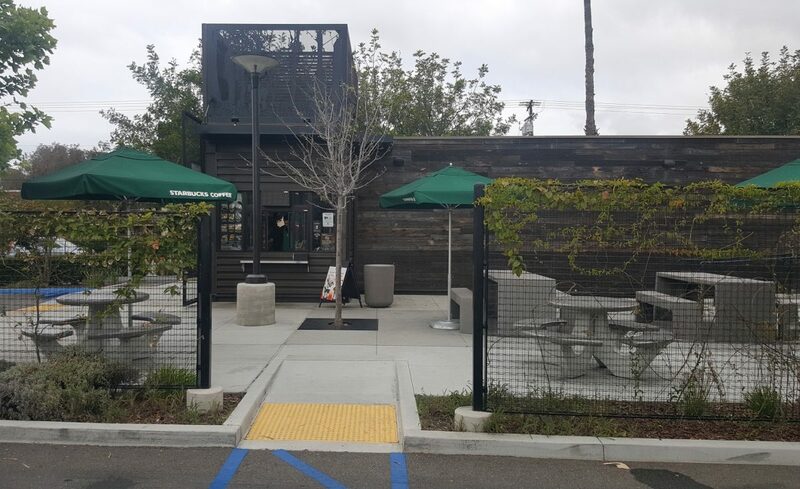 Within the entire Starbucks portfolio of stores, there are very few of these visually-unique designed stores, made either with shipping containers or as a prefab construction. There are probably less than 25 of them across the country. 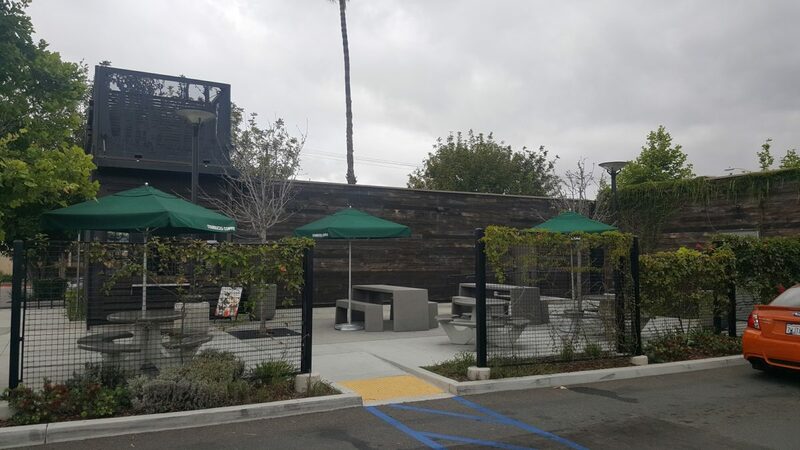 This Goldenwest Starbucks is a pre-fab construction design. 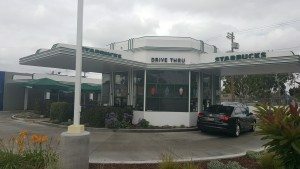 I have a fairly complete list of all the pre-fab concept drive-thrus and shipping container drive-thru stores here. 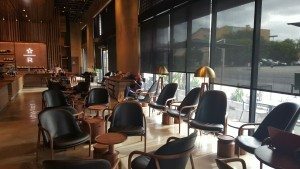 If you see one of these style of stores near you, and I’m missing it from the list, please use the contact form on this site and tell me. These styles of stores look extremely similar to each other. 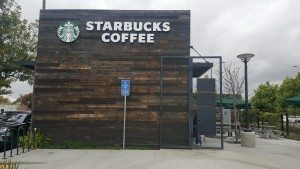 I hope you get the chance to stop by any one of these stores! If you have a favorite Southern California Starbucks, I want to hear about it! 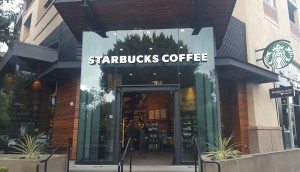 The Most Expensive Starbucks Drink Ever: The Real Answer (Such Silliness). Starbucks Getting into the Spirit of National Ugly Christmas Sweater Day! 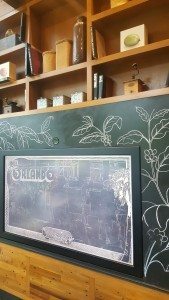 For the Downtown Disney store, It’s also worth mentioning that although you can’t get either of the Disneyland or Caflifornia Adventure You Are Here mugs (they are exclusive at the franchise locations inside each park), you CAN get almost every California city mug and tumbler, from San Diego to San Francisco. 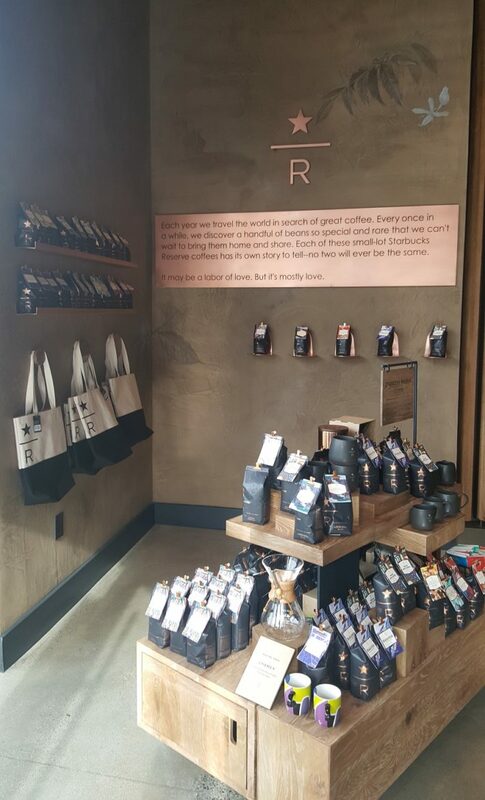 I even saw Las Vegas mug one time at that store. 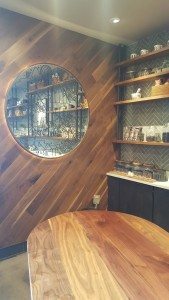 In rancho palms verdes off Hawthorne where it dead ends to the ocean you have a beautiful store worth the sunset views for the drive alone!